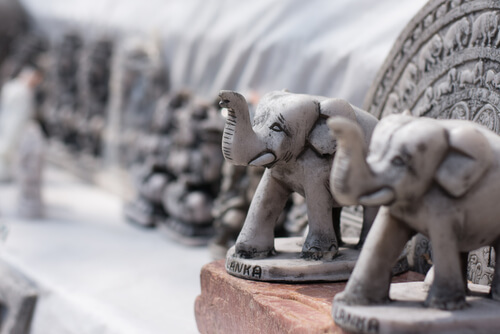 If you’re looking for one-of-a-kind collectibles and antiques, look no further than Sri Lanka’s exquisite artisanal arts and crafts, which make up a big part of the local shopping experience. The picturesque island country, with its rich ancient history, boasts an excellent range of wood, stone, ebony, lace, and other traditional crafts, as well as local variations of batik and lacquer work. Religious items and iconography are also popular finds, as well as intricate wooden elephant carvings. If you prefer the convenience of a one-stop location for souvenirs, the Sri Lankan government has a state-run emporium named Laksala, which can be found in major cities across the country. However, Laksala’s tchotchkes tend to be on the mass-produced side, so those hunting for one-of-a-kind finds should look beyond big city malls. In general, a good ethical spending rule in Sri Lanka is to visit locally-owned small businesses, as government tourist revenue – which is supposed to benefit the Sri Lankan people – tends to go back to big businesses. Be mindful of exotic items like elephant ivory, shells, and coral, which are illegal; Sri Lanka is one of the only countries that has issued an official public apology for illegal ivory trade (along with a solemn Buddhist ceremony to honor the elephants), reflecting Sri Lankan’s rich and ancient heritage of nature and wildlife preservation. Visitors who purchase antiques – defined as items older than fifty years old – must apply for a license to take them out of the country. As in real estate, the key to appropriate haggling is location, location, location. Markets and street bazaars are ideal venues to bargain, but in larger shops and shopping centres, a fixed price is usually a fixed price. However, it is acceptable to ask for a gentle discount on big ticket items like jewellery and furniture. Markets are the bustling heart and soul of the Sri Lankan shopping experience – depending on your itinerary, check out what kind of open markets are available in different cities. Prepare to bargain, bring a backpack to carry your finds, and if you’re a single woman who feels uncomfortable going it alone, join a walking tour that covers major markets. Pettah Market in Colombo is a hive of activity, with loads of fresh produce, clothes, electronics, and handicrafts, as well as many silversmiths, goldsmiths, and jewellery specialists (not to be confused with the Pettah Floating Market on Beira Lake). Kandy has a daily central market with plenty of fruit, vegetables, local crafts, and spices (Sri Lanka has eight different species of cinnamon). Be prepared to scout out nearby restroom facilities, as some markets don’t have accessible toilets. 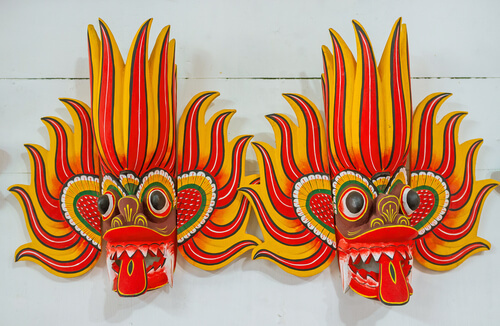 Wood-carved masks have been an age-old means of scaring off evil spirits, and today, these vicious visages make excellent keepsakes. Visitors keen on exploring on Sri Lankan mask culture (and, of course, picking up souvenir masks) should visit Ambalangoda, a western seaside town famous for its ceremonial Raksha masks, puppets, and ‘devil dancers.’ Other types of masks include Sanni masks, which are used in healing rituals, and Kolam masks, which are usually used in folk theatre. Traditional families of puppeteers still do travelling shows, and crafty visitors can even sign up for mask workshops. Rubies and sapphires are two of Sri Lanka’s most famous jewels, along with moonstones; Ceylon sapphires are blue sapphires unique to Sri Lanka and are known for their singular colour and luster. Another unusual Sri Lankan jewel is the padparadscha sapphire – an extremely rare pink-orange gem named after the Sinhalese word for lotus blossom – they are also found, to a lesser extent, in Madagascar and Tanzania. It is generally safer to buy gems and jewellery in stores that are accredited by either the Sri Lanka Gem & Jewellery Association or the International Coloured Gemstone Association. For fashionistas seeking something special, Sri Lanka has several up-and-coming designers who incorporate modern designs and minimalist features into sarees and sarongs. 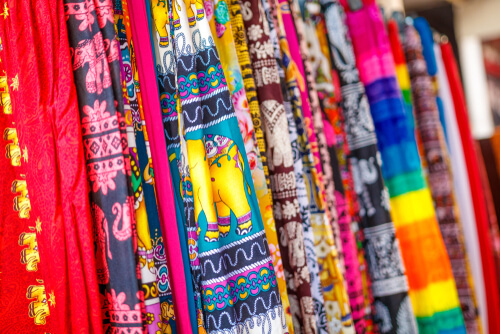 If the east-meets-west look isn’t your thing, you can find beautiful traditional hand-loomed sarongs (for men) and sarees (for women) all across the island. Keep your eyes peeled for local variations of batik, which was brought to Sri Lanka by way of the Dutch in Indonesia. Linen is also a popular material, as well as lace, which was introduced to Sri Lanka in the 16th century. Metal is big business in Kandy, thanks to Sri Lankan temples and weddings’ high demand for delicate brasswork in the form of lamps, vases, and other metalcraft. There’s also a wide range of religious icons of Buddha and Hindu gods. The town of Pilimatawala, just by Kandy, is especially known for its high-quality brassware. Naturally, tea is one of Sri Lanka’s most popular souvenirs. Ceylon refers to the region, and not to a specific plant or strain of tea. Ceylon tea has various categories that any tea seller would be happy to show you; most Ceylon teas are black, but there are also green Assamese teas, and white ‘silver tip’ teas. Tea purists should look for single-estate, high-grown teas that pack a punch – the cheapest and best way to find good tea is to scour the local markets and supermarkets. The very same teas sold in tourist areas, tea plantations, and factories are often very overpriced. At the end of the day, the best shopping experiences in Sri Lanka are at small shops and locally-run businesses, which allow visitors meaningful opportunities to learn about everyday life and the people on the island. Incidentally, it’s also a mindful means of ethical spending – especially in a country still healing from a decades-long civil war – and you’ll end up with loads of beautiful, uncommon collectibles collectibles that best reflect Sri Lanka’s incredible cultural heritage.